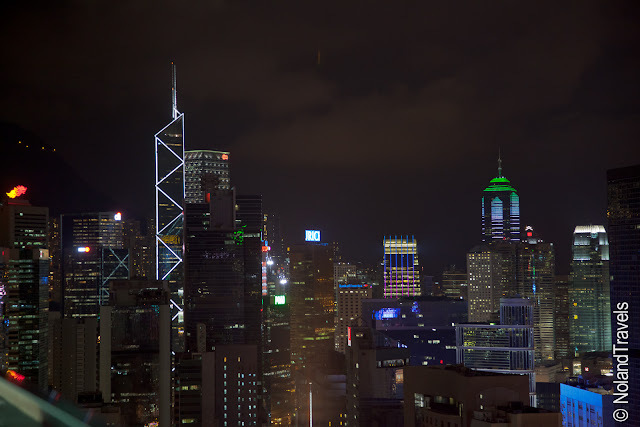 We are in Hong Kong rounding off the trip visiting friends. So far, despite the rainy weather, its treating us very well. Here is the view from our pre-dinner drinks location. The skyline is epic. And that's only a partial shot of the entire view. For those of you that don't know, we land in KY on May 20th so this is our last update "on the road". 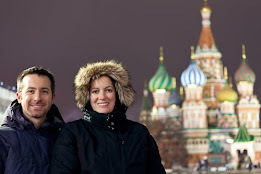 We can't wait to get back and share all the remaining photos and stories of our travels. In the meantime, our journey home takes us through Tokyo, Chicago and Cincinnati before the quick drive home to Lexington. Bluegrass, here we come! 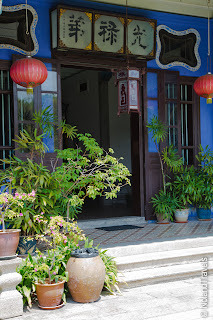 Before we move on from Penang, I wanted to show a few interesting photos for no particular reason. First up is a group of friends we met walking on the beach who stopped to say hello. I was taken aback seeing the Desert Storm shirt, nice one. And next to him, a 1987 Giants Championship shirt, where do these guys shop. Good stuff! 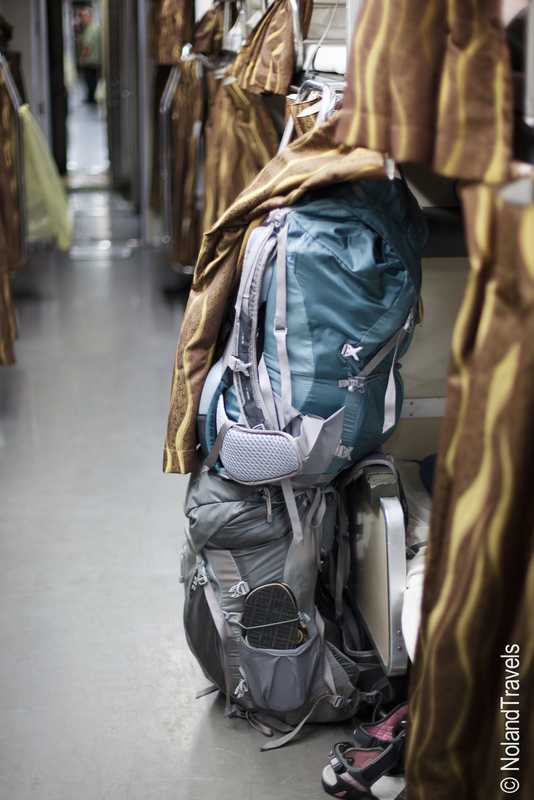 Then on the left you can see what happens when you have too much luggage and nowhere to store it on an overnight train. You have to stack your bags on top of each other, chain them to the outside of your bunk before calling it a night and hiding them with the curtain. Oh and I had to sleep with the camera bag at my feet. *Note - we are now down to just one of the bags in the picture and one camera bag. It feels good to travel light(er)! Finally, on the right are a few directions for using a Western toilet. 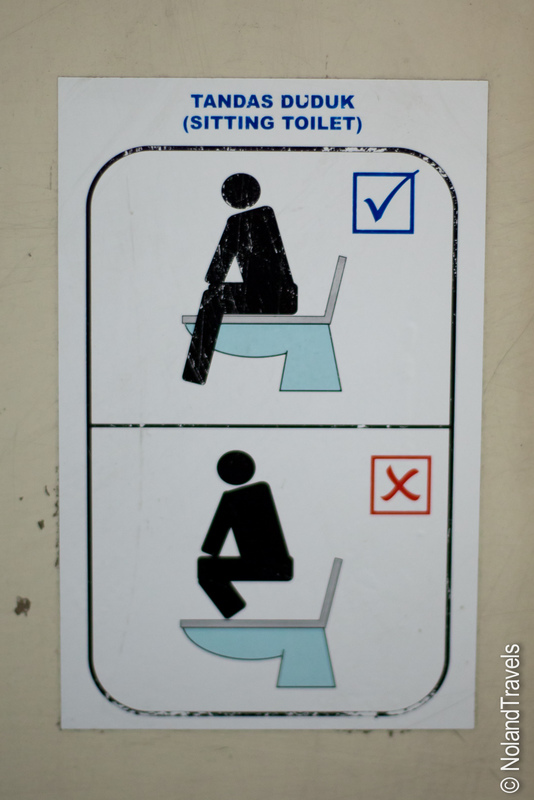 I was just happy they had a sitting toilet! 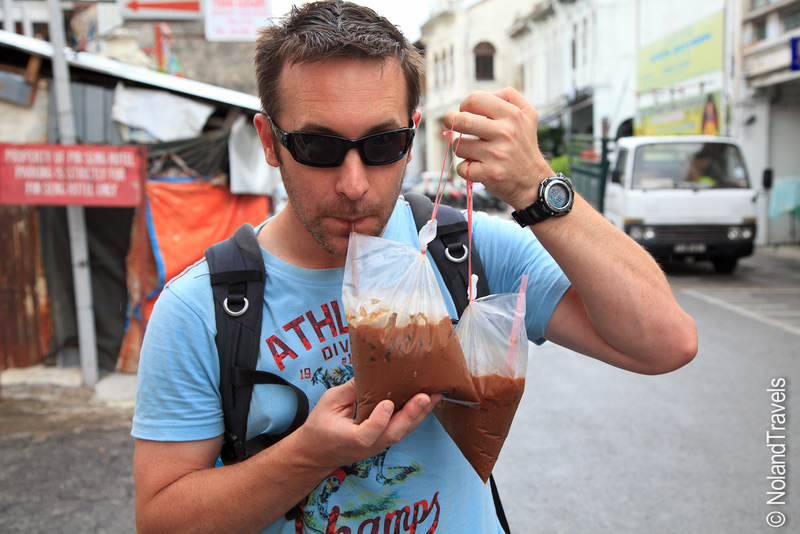 Hitting the mainland of Malaysia, a good friend of mine kept telling me to try Kopi Ice, a local ice coffee favorite. We had been on the lookout but hadn't seen it on menus yet. 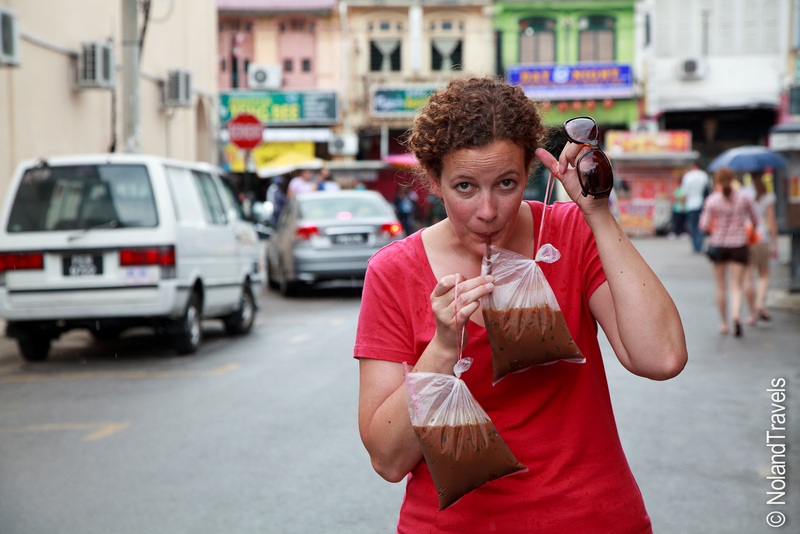 We were also still on the search for our favorite penang curry. For lunch one day we stumbled into a real hole in the wall local cafe. Basically, there was a man with a wok, a couple servers and half a dozen plastic tables. It was a little hot and a bit rough around the edges but he served up some fresh, tasty and cheap food made right in front of you. Sitting at our table after our meal one afternoon, Steph decided to try her luck by asking if they had Kopi Ice? The waitress didn't even blink, "White or Black?" Now we are in business, "One white and one black please". Its basically just ice coffee but a real treat in the hot weather. Once we found Kopi Ice we were hooked! We even learned you could get it take away. But not your normal style take away. It was served in clear plastic bags tied off with a string and topped off with a straw! High on novelty factor! 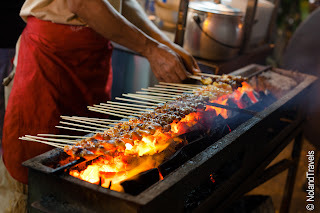 My friend also kept raving about the food in Penang - street markets and other seriously good places to enjoy the local cuisine. Our only question was, would we find penang curry?! 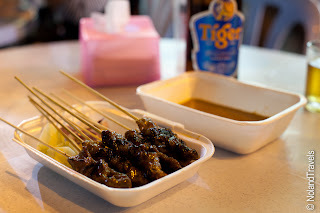 To find out we headed to one of the many night food markets. 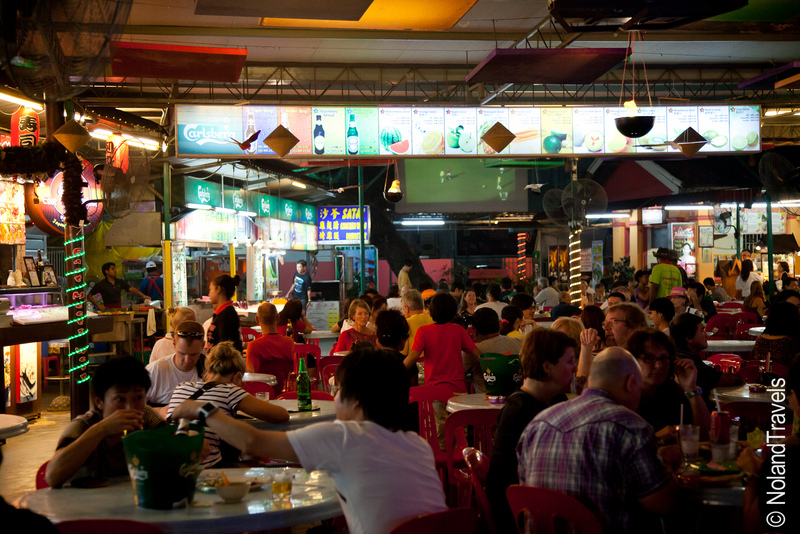 Imagine a big open air seating area, covered by corrugated steel roofs and small food stalls lining the perimeter. It was buzzing with tourists and locals alike. Throw in a couple TV’s, several neon beer lights, random hanging decorations, beer servers and even a small stage and DJ stand. We were sold, now, what to eat? 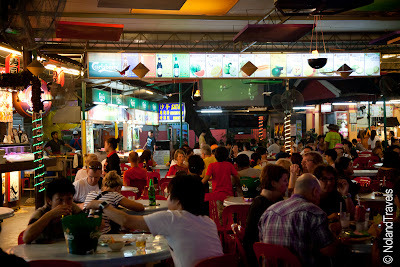 We strolled around carefully looking at each stall – the variety was very similar to the city canteens we had seen in KL. Sushi – no thanks, not here. Western – not a chance. 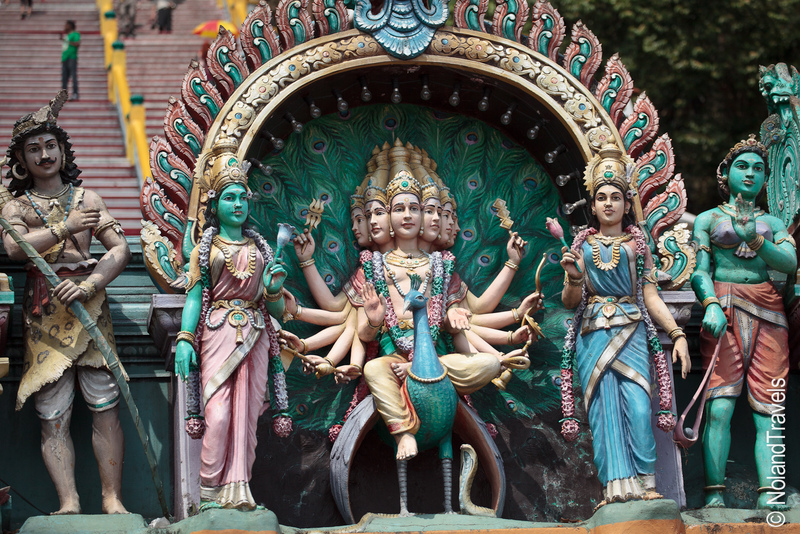 Malay, Indian, Thai – now you’re talking! 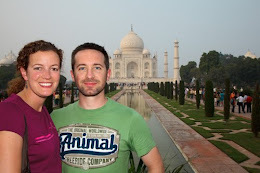 Disappointed that we didn’t find penang curry anywhere, Steph opted for Indian. I went over to the Thai stand to pick something out. You ordered your food at the stall, gave them your table number then they would deliver it freshly cooked to your table. I came back to the table smiling – in my usual fashion, I just asked the guy at the stall if he could make penang curry and he said yes! Unfortunately, when it arrived it just wasn’t as rich and tasty as the ones we’ve had in the past. But both of our dishes were good and we got to enjoy some local singers covering oldie-but-goodie American songs. Over the next couple of days, we kept wondering why we couldn’t find penang curry. We finally Googled it and apparently it’s a Thai dish and just named after the island. With Thailand next on the itinerary, we instead enjoyed all the other delicious things on offer. One of the recommended Indian places was supposed to be a local favorite. True to form, it served some delicious food. On our second visit, we were standing there trying to choose from the numerous simmering curries. While we were trying to decide, a local guy stepped up to get served. The guy gave him a plate of rice and meat from one particular curry. Then he proceeded to take a spoonful of sauce from every other curry and splash it on top! We always had a hard time deciding which curry to try so when we saw this, our eyes lit up – we’ll have one of those please! Yeah, I’m not going to lie – it was fantastic! Top that off with an amazing tandoori chicken and we were in heaven! Two months in to our travels, we noticed a trend forming. When we find somewhere we like to eat we become repeat customers. This has been happening everywhere! Yekaterinburg, Beijing, KK and now Georgetown! The hole in the wall and the Indian joint saw us more than once! Thanks for the tips Leon! 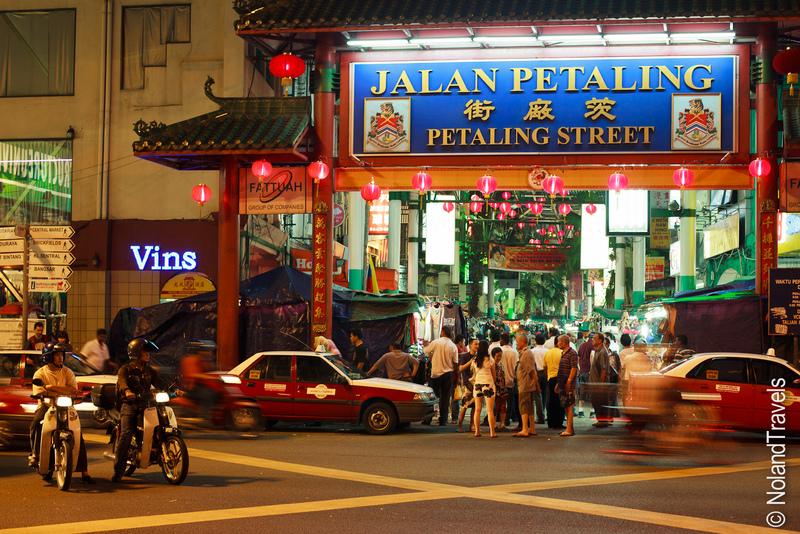 One of the easiest ways to get from Kuala Lumpur to the island of Penang is an overnight train. Hop on, snooze and wake up a few minutes from the island. We were enjoying KL and didn't really know how long we wanted to stay, but had been keeping an eye on the train tickets which appeared to have plenty of sleeper availability. Needless to say we didn't book ahead. With the days ticking by, we decided it was time to move on and headed to the station to book a ticket for that evening. SOLD OUT! What do you mean the sleeping bunks are sold out. Doh! We had to settle for the reclining chairs which were strangely more expensive and less comfortable! Boarding the train, we figured with so much overnight flight experience this would be manageable. It wouldn't be the usual sleeper car decent nights sleep (e.g. laying flat) but it should go quick. I’d like to say we woke up the next morning refreshed but it wasn’t the case. 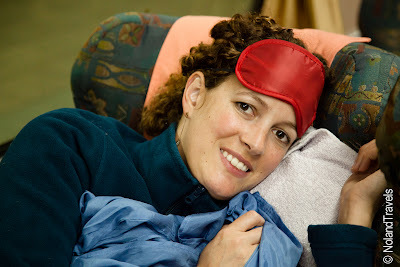 I just can’t sleep well in a chair even with my luxuries of earplugs, eye mask and silk sleep sack! 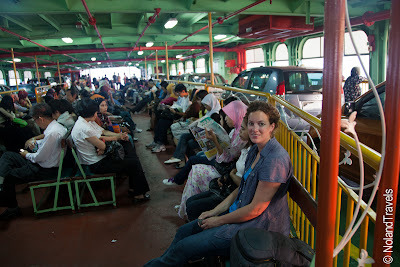 So we arrived a little groggy at the port where you take a short ferry over to the island of Penang. The sun was low in the morning sky as we headed to the ferry. It was busy with all the regulars heading across to start work for the day. We pushed our way through to a little window, expecting to buy a ticket but instead he just gave us change. Apparently, the gate to get in just took coins. Really? Ok, easy enough! Let’s go! Everyone was franticly queuing at a big gate watching the ferry pull up and unload. I don't know what it is about boarding mass transit that makes people go a little crazy. Mix in a few travelers and a load of regular commuters and you get the picture. There was a lane of motorbikes all revving their engines, two lanes of cars with engines running and some honking as they too waited to board the ferry. We were standing in a tall wire fenced lane with maybe 100 others in front of a big gate watching and waiting; slowly the ferry gates opened and everyone dashed through to grab a seat for the 15 minute ride. The pace calmed once everyone was settled, that is, until we were ready to get off on the other side. Welcome to Georgetown, on the island of Penang. 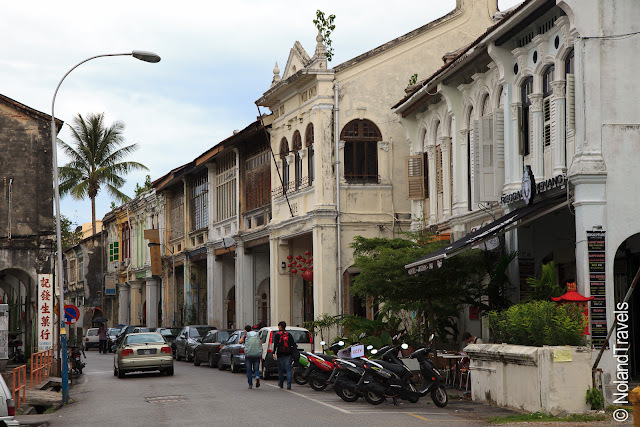 The city of Georgetown has ties dating back to the East India Trading Company and today is a beautiful colonial town recently named a UNESCO World heritage site. So, in this spirit we booked a hotel running out of an old colonial building to soak up some of the atmosphere. This turned out to be one of our best hotels to date for charm factor. Plus it was on Love Lane, I'm serious! We were already enchanted. First up on the agenda, The Cheong Fatt Tze Mansion - or better known as The Blue Mansion - which was just around the corner. One of the other travelers in our hotel casually mentioned the daily tour was about to start, so off we went. We had never seen anything like this house before – it was truly impressive, especially seeing as though when it was built, circa 1880s. It was a zen home, to be sure, and the tour guide explained the many aspects of the home that would be overlooked if you weren’t in to Feng Shui. We couldn’t take photos inside but I will try to explain some of the intricacies of the home. From the main entry hall there was a large wooden screen with doors on either side. If the screen was closed it signaled to passers-by that they weren’t taking visitors. But if the middle screen was open (and hence no need for the two side doors) then it meant anyone was welcome to pop in as was customary. Once inside there was an open courtyard with a sunken stone area in the center. At first thought, you might expect it to be the swimming pool. 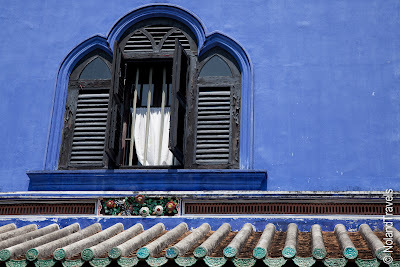 It did collect water because it was open to the sky but the purpose, and ever so slight tilted elevation of the base of it, cleverly collected rainwater then sent it around the house through a series of pipes to cool the rooms. Early air conditioning! The wooden shutters were crafted with a simple design using the yin and yang shapes. The first couple of stairs were rock while the remaining stairs were wooden to signify a solid foundation. Even the house itself was strategically positioned to be facing East, with a water source in the front and a mountain in the back (although the mountain was really a hill and about 10 kilometers away, this still passed the traditional rules). Another traditional rule, that the house should be on a hill, was cleverly achieved on the flat land by simply building the back half of the house slightly higher than the front; you had an extra step up to enter any room in the back half. It's departure day in KL which has given us a little motivation to get out and see one of the top sights in town. 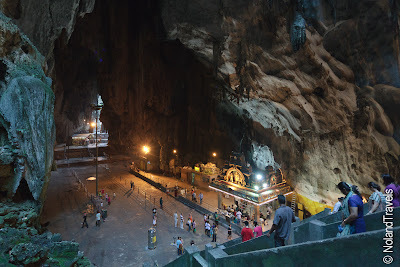 The sacred Batu Caves. 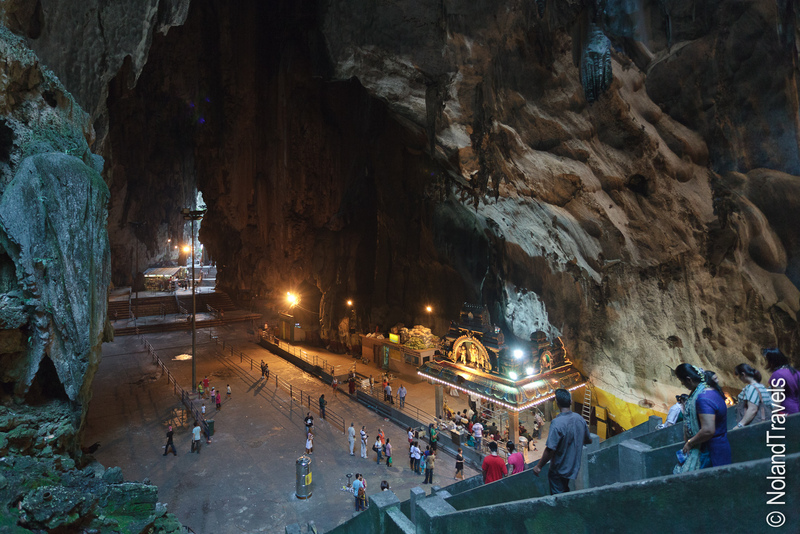 Sitting on the outskirts of the city, within KLs' public transport reach, sit 3 limestone caves. They are one of the most sacred places for Malaysian Hindus to visit and once a year the Thaipusam Festival draws upwards of a million people for pilgrimage. You hop off the train nearly on the doorstep of the caves. It's only a few minute walk to the entrance, well the stairs, leading to the entrance. 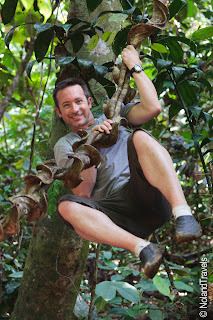 It's a fairly steep and long climb but along the way you do get some entertainment as the resident monkey's greet you. Cool, right? Well, not exactly. After years and years of people feeding them, they have evolved into vicious, evil little creatures that have a tendency to harass people and steal food (or anything resembling food). Sometimes even right out of your hands. It's actually a trait found in a lot of resident monkeys who inhabit big sites in the region. Even young kids aren't safe if they are eating food. We witnessed a monkey steal an ice cream cone from a toddler. Poor kid (silly parents for not knowing better). As long as you aren't eating there is some good entertainment watching other less-aware people try and deal with or interact with the monkeys. Think standing next to a monkey trying to get a photo. Plus there are always a couple people who are literally afraid of the monkeys - sorry, this is entertaining, too! To be fair they are very unpredictable which makes people, including us, jumpy at times. 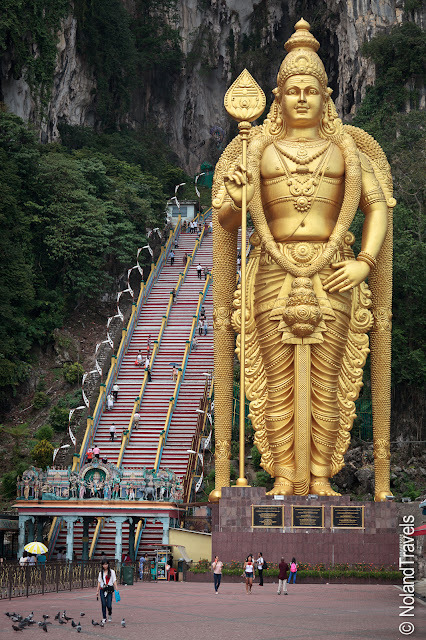 Once you climb up the long flight of stairs you enter the cave where temples have been carved out of the rock. The main cave is one huge cavern with steps leading to another connected section. Although spacious overhead, it was very hot and humid inside. We had just missed the festival and were honestly glad! The heat was intense and we were there with only about 100 other visitors. Thinking of cramming in with huge numbers of people for the festival made us cringe. This was the hottest and most humid weather we'd had yet and I was roasting. Josh was having a good laugh at me. I wasn't happy at how I was sweating through both the front and back of my shirt. Looking at me, shaking his head he said, "I've known you for a long time and I'm baffled that I'm just now finding out that the concept of sweating is new to you". In response I had to laugh too! I've never thought of myself as a super high maintenance kind of gal, but I did have to admit that I didn't put myself in these sweaty situations very often in my lifetime! While in the cave, we caught an interesting ceremony at one of the temples. We had seen people lugging up metal canisters and bags of fruit which were being offered to the temple by visitors. Josh was even asked if he'd carry a big metal container full of milk to the top. At the time, having no idea what it was for, he replied with a cheeky, "I'll carry it for 25 dollars". The guy looked at him, confused, and started up the steps. 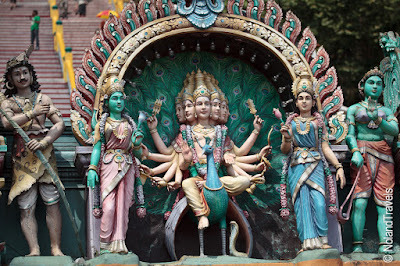 The liquid in the canisters, as we found out, was actually milk, honey and other offerings to be poured over the idol in the temple during the ceremony. It would then be rinsed with water and then spread with powders (maybe herbs or curry powders). It would be rinsed again and then doused with milk again. Periodically, it would get wrapped with a flower garland briefly, then the milk and powders would start all over again. It went on for probably 20 minutes or more. It ended up being a significant amount of milk and offerings surrendered to this idol. Here is a short video to give you an idea of the ceremony we witnessed. As we started to make our way down the stairs we realized the humidity wasn't in vain - it was about to rain. 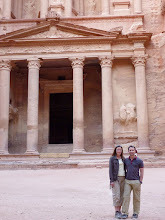 We hurried down but only got as far as the temple at the bottom before the heavens opened up. So instead of getting soaked we followed the lead of a few of the others. We took off our shoes and grabbed a seat on the cool stone floor in the open air temple and watched more ceremonies at the various idols inside. It was a peaceful respite from the pouring rain and let us admire many families, clearly dressed up for the visit to this important temple complex. Plus we met some friendly locals who came to ask where we were from. When the rain started to let up we decided to make a run for it - the finish line being the overground train station a couple hundred yards away. As we started our dash though, Mother Nature wasn't finished and we ended up soaked by the time we got to the cover of the station. Well, at least we were refreshed after all that sweating, right?! And with that, we chilled out, literally, in the air conditioned train back to town. 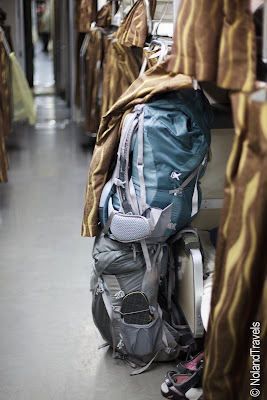 We had stored our bags for the day at the train station in preparations for the overnight train to the island of Penang, our next destination. It shares the name of one of our all time favorite curries which we had mysteriously not come across yet in Malaysia. 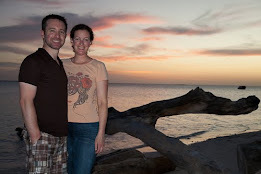 Maybe the island keeps it as a treasure of its own - we were off to find out! Fresh off our remote rainforest adventure we decided to head to mainland Malaysia to check out the urban sprawl of Kuala Lumpur - a city that promised to be as modern as it was traditional. 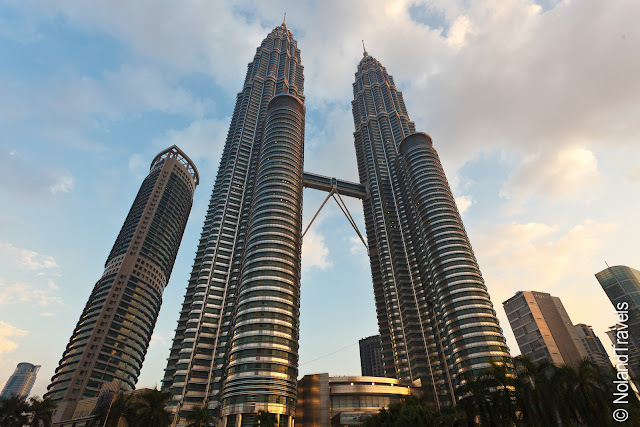 It was an exciting arrival at night; as the bus from the airport approached the city we could see the Petronas Towers glowing in the skyline. Modern - check! 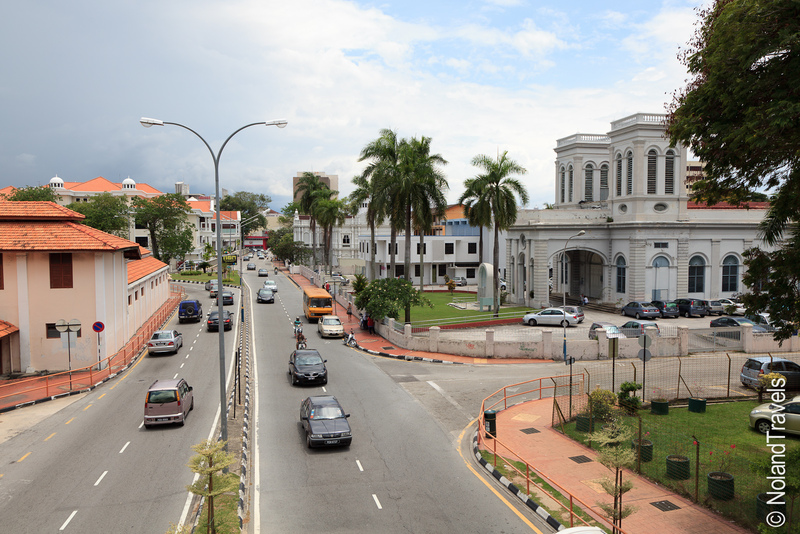 We decided to stay in the area of Chinatown and Little India because they are supposed to be quite atmospheric - and it did not disappoint. 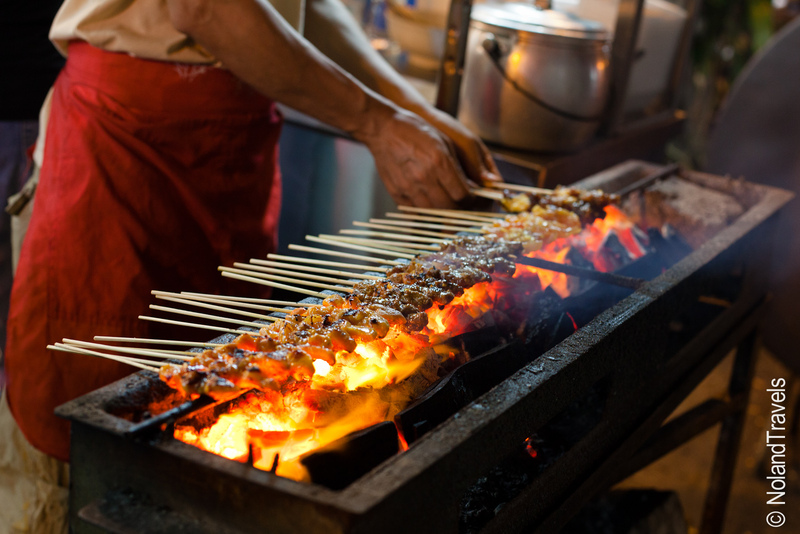 Even though arriving after dark, the streets were alive with music blaring from simple shops, people congregating on the sidewalks and food being cooked in makeshift stands on nearly every corner. Immediately, we knew this was the atmosphere we were looking for. Traditional - check! The next morning, our to do list was really starting to weigh us down compounded by the fact that when we decided to try and get things done we had a bottle neck - one laptop. 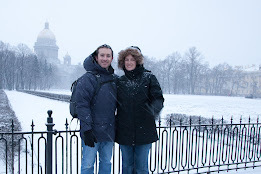 Taxes, travel research, blogs and photos, along with other odds and ends needed doing. I know you are probably saying, slow down, take it easy, you're traveling, but we are all about efficiency when we set to do something. When we are on the go all is well but during the down time one of us was always itching to get something done. Hmmm. Should we get a second laptop? It felt overkill but since we were in a city well known for wide availability of electronics we decided to head down to the local "tech" mall to check prices and just see what it may cost to help decide if it was worth it. One thing we've found in several parts of the world is that common vendors tend to set up shop all in the same area. I know we have huge malls at home but you never see 5 of the same store one after another. For instance, we'd find a street of all the furniture sellers, then on the next street were all the tool shops. Or we'll see a road side fruit market where 10 different shops are all selling one thing - watermelons. Not only that but all of the watermelons would even be stacked in the same pyramid formation. How do you choose? This type of things has always baffled us to some degree because on one hand, you would think the competition would be tough because they are all selling almost identical goods, but on the other hand, at least you don't have to trudge all over town to find something. KL had this concept down pat for electronics and our guide book even mapped the mecca of electronics. We arrived at a multi-story building, as large as a modern Western shopping mall. Once inside the open atrium, you could see floors of shining gizmos and thousands of neon lights blinking, flashing, glowing, the works. It was obvious we were in the right place but we were overwhelmed. Looking up it was 7 or so stories all full of laptop shops, mobile phone kiosks, company direct laptop dealers, used computer sellers, games stores, dvd kiosks, internet cafe's and anything else with an electrical switch board you could imagine. If this were the only place in town to buy it would be one thing, but this was one of many across the city. Even the building next door was the exact same story, full of computers and electronic sellers, many of which selling the EXACT same thing. Ok - used laptop here we come! Stall by stall, we looked around to see what was on offer. "Hello my friend, what do you want?" was a common phrase that we started to ignore, just keep walking. Gaining a little confidence, we started asking around to see where we might find a used netbooks. They first told us to go to higher floors, then when it was clear we were in laptop land, they started pointing us to specific vendors. Before too long, we had an assortment of old laptops being pulled out from under counters, out of back rooms or from other shops and shown to us - some ridiculously old, some ridiculously expensive. It didn't take us too long to realize that we weren't going to find a used netbook that suited our budget and requirements, so we started looking at new ones. That too became very tiring and we weren't convinced they were offering a great price. But our efforts did pay off. After a delicious dinner on a street full of open air restaurants, we went back and researched the netbooks we had seen. We were getting quoted prices cheaper than online prices in dollars. So, the next day we went back and Steph became the proud owner of a brand new Asus Eee netbook, including a hot pink neoprene cover. So what did we do now that we both had laptops? Spent the better part of the next two days in the hotel room on the internet, of course! It was nice though. 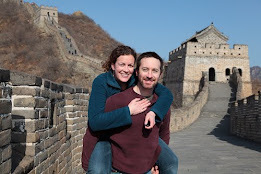 We woke up early one morning and watched a basketball game online along with plenty of photo editing, catching up on news and travel planning. It also worked out well because the area around our hotel had plenty of life for interesting lunch and dinners. One day, we walked around the corner and found a little hole in the wall shop and each scored a big take away container filled to the brim with a selection of freshly cooked Malay curries. We also had dinner at the infamous Jalan Petling Chinatown street market although we had to confess, it felt a little out of place considering not long before we had witnessed Chinese street markets in Beijing. 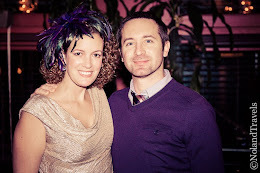 More importantly though, thanks to the down time, Steph was finally able to get her hair cut. 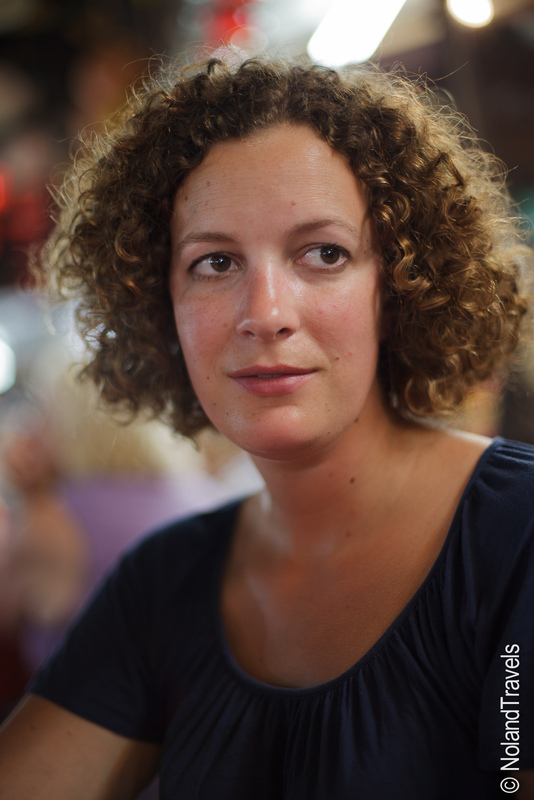 It was too long for the warm weather but she had been hesitant in getting it cut. With KL being toasty warm she decided to go for it at a reasonable looking salon in the mall where we ate lunch. There was a young guy eager to cut a Western lady's hair. She's always skeptical of new hairdressers because curly hair has its challenges so she was tensely watching as he started chopping off large sections of hair. 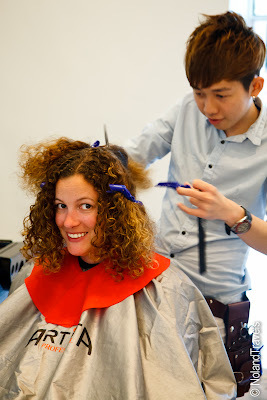 After about twenty minutes of cutting, a quick rinse and the stylist and his assistant drying her hair with two hairdryers, she emerged with a smile on her face. She rated it as one of her best cuts ever. 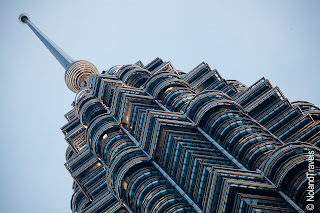 Even with the down time, we were absorbing the unique atmosphere of KL - the markets, street food, cultural diversity and a unique blend of modern and traditional touches across the city. We'll definitely be back in the future. It's worth another visit for sure! 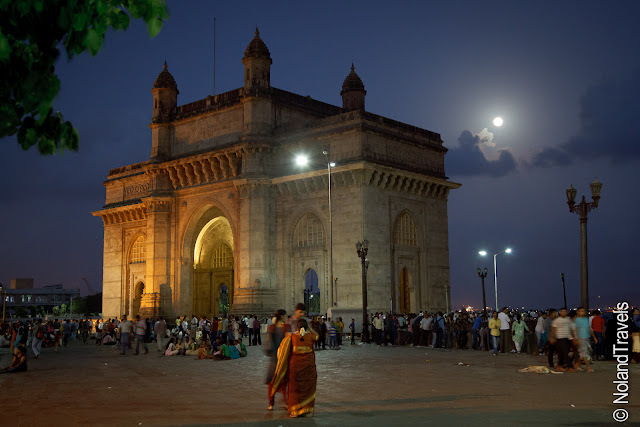 We are in Mumbai, where last night we ran into this year's 'Supermoon' at the famous Gateway of India. Strolling the waterfront looking out at the Arabian sea, the moon was noticeably larger and brighter although I'm not sure the picture does it justice. It was busy and full of interesting sights and sounds. As usual, we posed for a few photos and met some interesting people including a 60 year old man who wanted to take a picture with us. Interestingly enough, the Gateway of India is dedicated to King George V and Queen Mary of England to commemorate their landing in 1911. Mumbai is sensory overload. 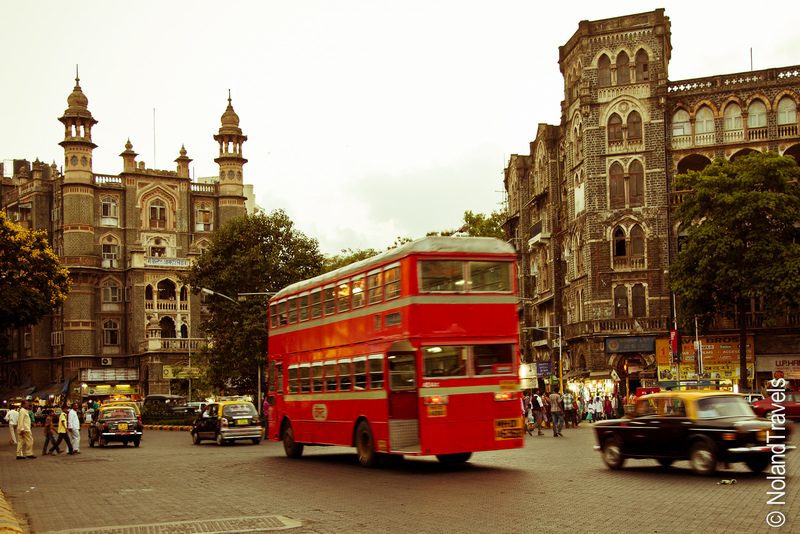 It is the most populous city in India stuffed to the brim with "did you see that" moments on every corner. On top of that, there is a feel of stepping back in time due in part to the old school looking taxi's and the colonial architecture dating from British days. We've even seen a few knock-off double decker buses only adding to the ambience. Is it me or does that almost look like London below? That's all for now. Tomorrow we are off to Aurangabad to visit some ancient caves before we head to Bandhavgarh National Park for a tiger photo safari. Keep your fingers crossed for a tiger sighting; they are rare these days! 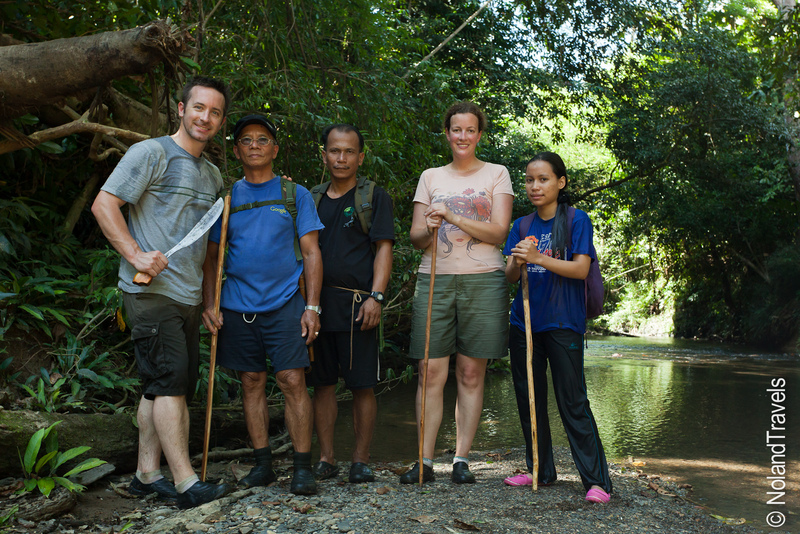 Now that we’ve told you about our two fascinating days of activities in the rainforest of Brunei, we want to show you the equally intriguing eco lodge where we stayed. 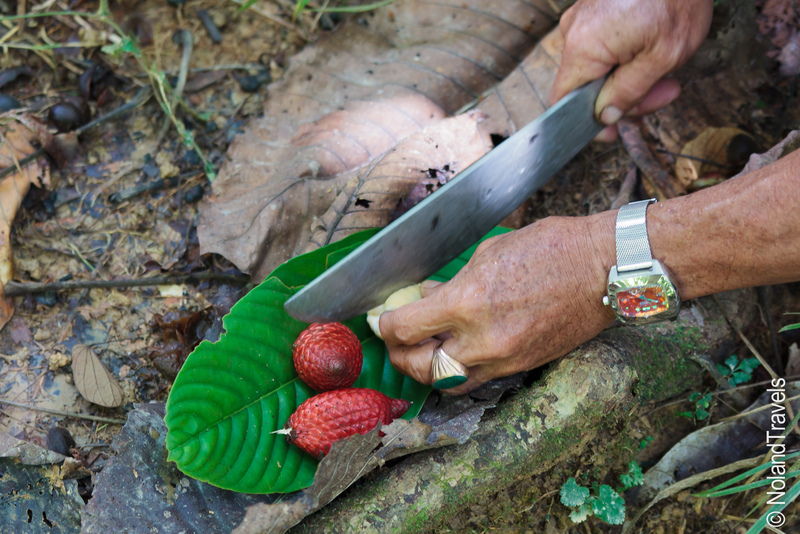 As we mentioned before, Sumbiling Eco Village is run in cooperation with the local villagers – they are the cooks, the cleaners and the knowledgeable local guides. The lodge is discretely nestled on the banks of the Temburong River a few minutes walk to the village and a short boat ride to the Ulu Temburong National Park. Next to the river, there are several tents, a block of 4 bedrooms in a thatch building and two open air shelters where we ate and socialized. Toss in a few hammocks and a sun deck at the river’s edge and it made for a simple yet serene setting. 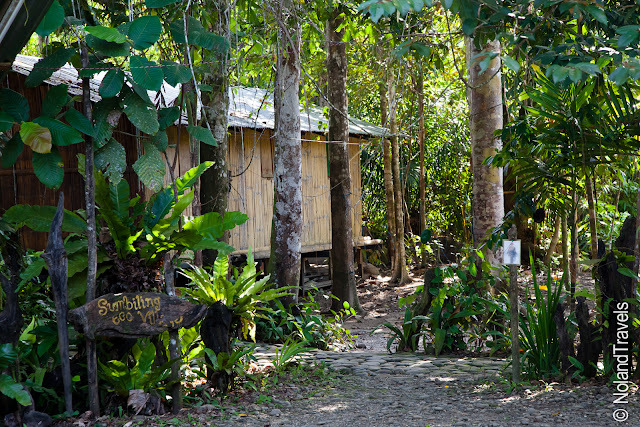 As an eco lodge, the bathrooms came as natural aas possible. Thinking the worst, we were pleased to find a couple of clean toilet stalls with Western toilets. The showers however, were au natural – two shower heads behind a cinderblock wall open to the sky above! Our room in the thatch building was basic, complete with a much needed fan to keep us cool at night and to keep the mosquitos at bay. One night, however, I did wake up with a scurrying sound overhead. I was only hoping in the pitch blackness that whatever was making that sound was on the roof outside and not crawling across the inside of our ceiling! The setting of the lodge was great and we definitely made use of the riverside hammocks after our canopy walk and rainforest adventure. There were even some rubber inner tubes for use in the river, but we couldn't drag our selves out of the hammock during our down time to try them out. The days were full of activity which left us in the perfect chill out mood to enjoy the sunsets and watch the forest come alive. We just sat feet dangling over the river soaking up the ambiance. The serenity of Sumbiling was only enhanced by the fact that we were the only visitors during our two nights, so it was blissfully quiet, short of the constant buzz of the insects. I won't talk about them. Freaky! So, after two completely amazing days we had to say goodbye to the village and Brunei. We were off to catch a flight to Kuala Lumpur on mainland Malaysia. 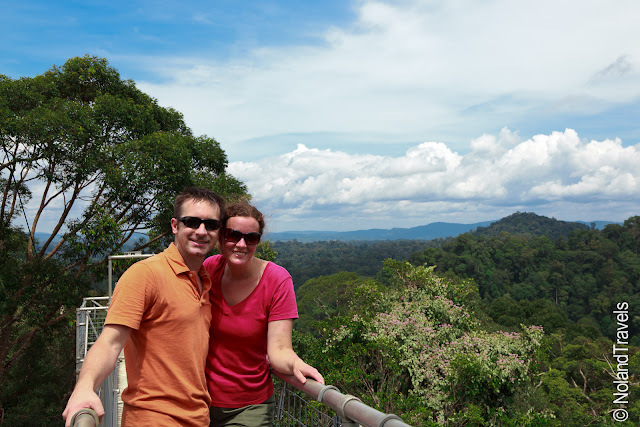 Our stopover in Brunei turned out to be an unexpected highlight of our time on Borneo! It’s always fun to travel to see sights that are new, exciting or different but often the most rewarding part of travel is talking to people. I think it’s this aspect of travel that has truly expanded our view of the world. 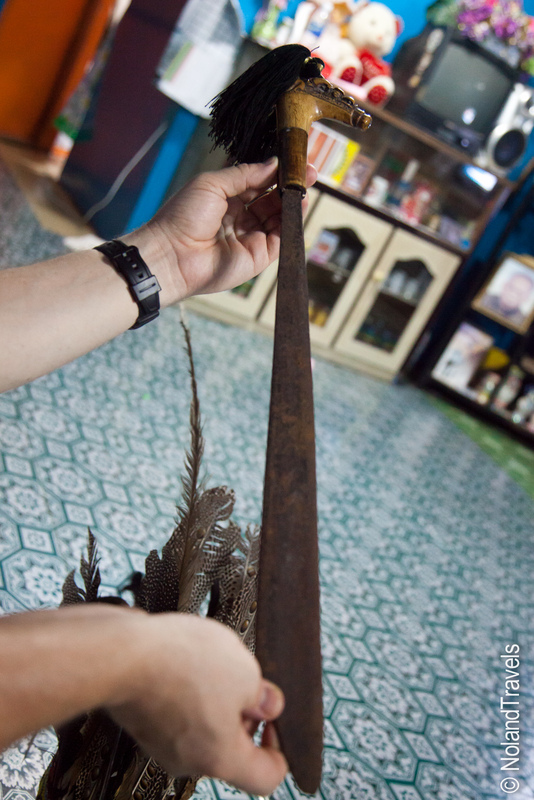 With that in mind, we were excited about the visit to Adi’s longhouse to meet her family. On the way, we had a night walk through the forest, spotting several creepy crawlies and some interesting glowing fungus. Although, the most scary part was the fire ants. We had seen them during the day and sometimes had to step over them when there was a little river of ants across the foot path. 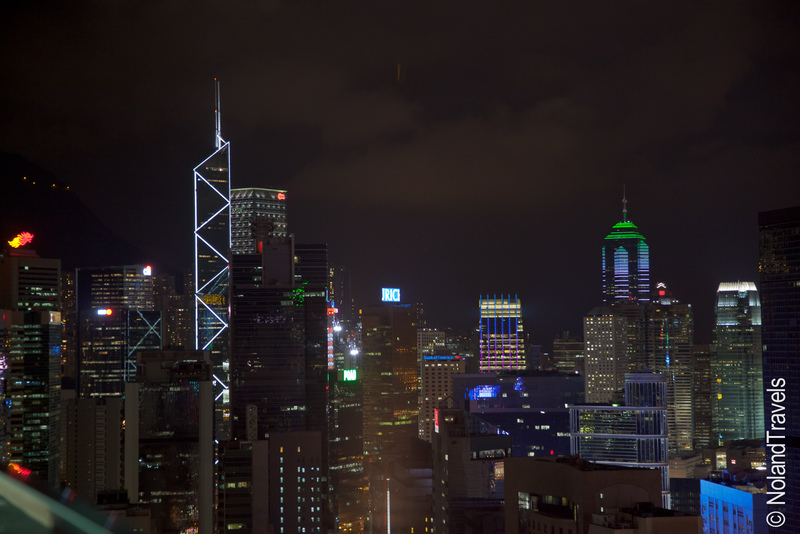 Night time was no different – except that you couldn’t see them nearly as well! Thankfully, another guide was in front of Adi and spotted them so twice we casually jumped over an invisible stream of ants in the dark. It was only when he made the “uh-oh” sound again and instead of seeing his light go across the path you saw it going up the path, including the incline we needed to go up. This time they weren’t a neat little stream across the path but covered a good portion of it – and with that the guide took a running start and did about three long strides and then a leap up the incline almost like an Olympic long-jumper. Oh dear. I hadn’t been enjoying the night walks because of creepy crawlies and the thought of running through a river of fire ants, which I could not see, was not appealing. I watched Adi quickly run through. Then I watched Josh slightly hesitate before he made a worthy athletic effort to quickly bound through. My turn. Frown on my face. I told Josh to back up at the top of the hill because if I was running it would be with force. I took a step back and made like a gazelle to rush through with as little ground contact as possible! Thank goodness that was the end of our walk and the forest began to clear for the village. 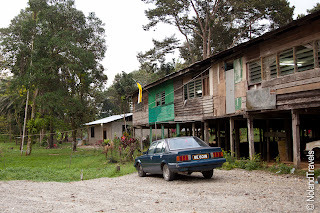 We had arrived at the longhouse in which Adi lived. She and her family are part of the Iban people of Brunei. They live in traditional longhouses in small villages throughout the countryside. Although they have some modern conveniences, they still rely on the forests for many of their everyday needs. 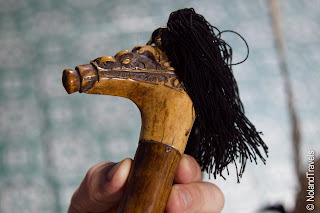 In reading up on them ahead of time, we found references to head hunting practices back in the day but we figured we weren't likely to run into this old practice in modern times but still curious. We were welcomed into the longhouse where Adi introduced us to more of her family. She explained how they lived in the house, each family having their own section of rooms and sometimes had bigger dinners or functions out in the common area. Her uncle turned out to be one of the leaders of the village responsible for some of the traditional ceremonies. He was all smiles and fascinating, showing us a few of his artifacts passed down through generations. 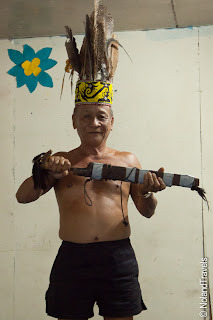 It started with a few photos in a head dress and a quick demonstration of a traditional dance along with a few questions about us and our home. After some discussion he left the room which we figured was end of our visit. However, he came back shortly with a sly grin on his face, handing Josh a machete. Looking at it I could tell it was old and very special. 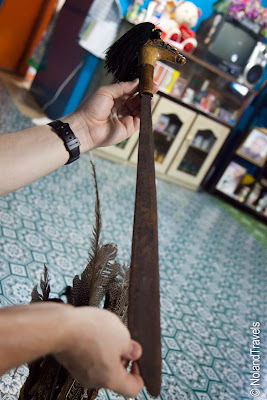 With a little translation help from Adi, he asked if we knew what the handle was made from. It was white and ornately carved attached to an aged machete blade. A little taken aback Josh didn’t know what to answer. Adi replied, “human bone”. Come again? Did I hear you right? We looked at both of them in disbelief. If this is true then it could have been used in the head hunting days during the Japanese occupation of Borneo during WWII. We didn’t get specifics out of them and didn’t ask too intently, but from the looks on their faces it was clear this machete had done what we could only imagine. And that the bone was from a person. Wow! I should point out that Adi was very tentative in discussing the machete. She quickly said it hadn’t been used for a very long time and reiterated this old practice was part of their past. I can only imagine some of the reactions she gets showing this around. Again, wow! 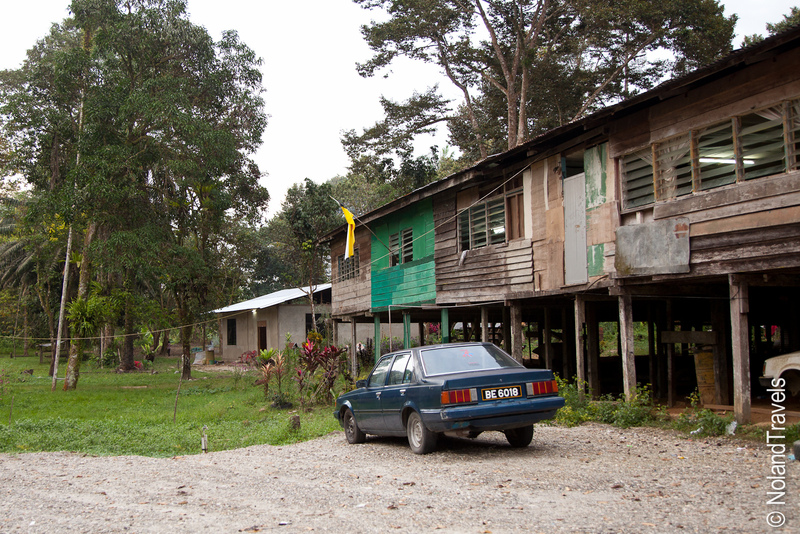 Today the Iban people are actually mostly urbanized. Many of the families have televisions, cars, telephone, ect and a good portion of the younger generation live in bigger cities and not the villages. They do however, maintain close ties to their heritage and previous way of life. Before too long, it was time to return to the lodge for dinner and to some unexpected dinner conversations. Adi had been asking us several things about ourselves and where we’re from over the past days and after she had just welcomed us into her home we wanted to return the favor. 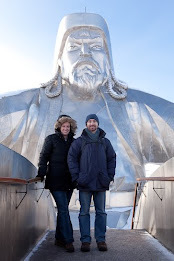 So after dinner, we pulled out the set of photos we had compiled previously to share with our guide in Mongolia. It’s a varied set of pictures plucked from the many we have stored on our hard drive; it has photos of Josh playing soccer, our house in KY, our wedding, our families at the holidays, scenic pictures of Kentucky and more. We spent the next hour flipping through the photos with Adi intently listening to all of the descriptions and stories. It’s funny showing these photos to people and the questions they ask. Often times the questions are around something you take completely and hadn't thought about since you were a kid. 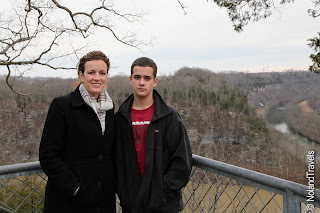 As we were showing her a picture of my nephew, Garland, and I near High Bridge, Kentucky in winter (below), we simply said it was winter and the trees lost their leaves. She looked at us curiously and asked why? We had to explain that Kentucky had four seasons and that every fall, the leaves fell off as the trees prepared for winter. The island of Borneo sees only a slight change in temperatures year round so deciduous trees that go dormant for winter don't exist and were new to her. She was so keen and wanted to see more, asking if we had any sunset photos which she loved. 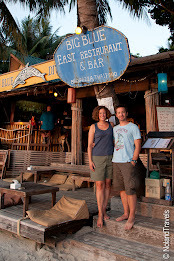 We showed her several of our sunset photos including the most recent “Sky on Fire” in Kota Kinabalu. She loved it and asked if she could have the photo. 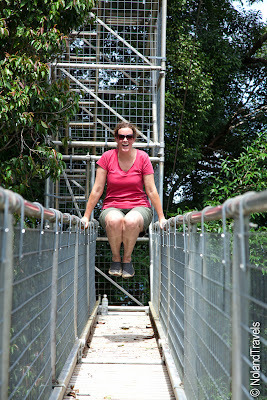 We also went through all the photos from the canopy walk and rainforest discovery. After sharing many of our photos with her we went to bed a little bit sad it was our last night but also grateful for the experience. Even though we had just finished two incredible days touring the wilds of Brunei, the moment of realization where we explained deciduous trees was probably the most touching. Those little moments, when you realize that you take something for granted or learn about something completely new to you, are the reason we love traveling so much. We woke up leisurely and had a filling breakfast to prepare us for the no-doubt strenuous rainforest discovery walk. Having been in rainforest a couple times already on this trip – we knew this would be a steamy and, at times, grueling, through mud and gunk. The longboat was waiting to take us away, so we donned the required life vests and prepared ourselves for another thrilling ride down the river. 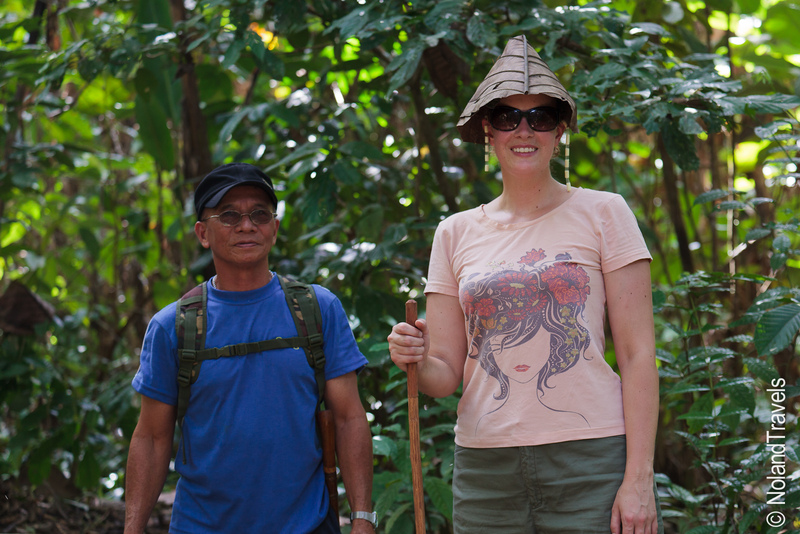 But this time, we simply crossed to the other side where our guides, Adi’s uncle and cousin, were waiting with machetes on their hips. What were we in for? We weren't entirely sure but we set off beginning one of the most fascinating treks we've ever had. 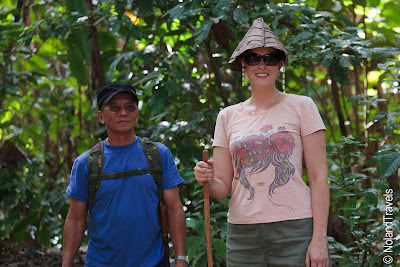 The walk started in the secondary forest and would progress on to the primary rainforest. The small distinction is that a secondary forest has been previously cut down. In this case it was 50+ years ago and in that time has recovered to a fairly good state. It was thick with vegetation and this was where the majority of the fruits were located. 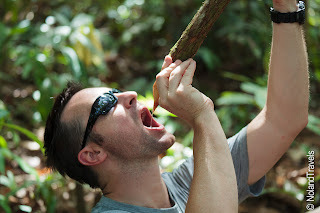 The reason I mention the distinction is because the locals can only take things from the secondary forest. 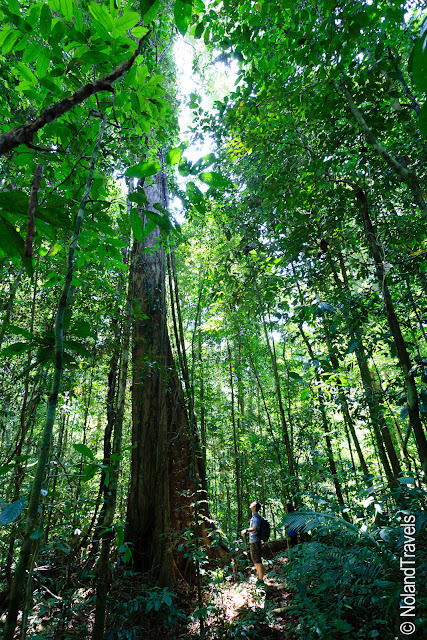 The primary rainforest is highly protected. They also showed us dug out areas in the forest where people would hide during WWII. Along the way, they sometimes took a little extra of something and put it in their rucksack for later. We were on a rainforest tour but to them, we might as well have been walking through a super market as they picked up what they needed for the week! It was awesome! As we progressed through the forest we came across fascinating bamboo gardens with thick bamboo growing in every direction. Given the size and density of the gardens you could easily understand why some people think bamboo is the sustainable building material of the future. The ground vegetation then started to thin and the overhead space began to expand. We had entered the primary rainforest! Mature trees towered stories above us filtering out much of the sunlight. As you can imagine trekking was hot and steamy. Up and down, over fallen trees, crossing small streams, ducking under vines and around huge bamboo trees, we carved our way through the forest. We finally made it to a river clearing where we could have our packed lunch. It was a nice break and Adi decided to take a dip, fully clothed as always, in the cool water. Not wanting to trudge through the forest in heavy soaked clothes, we opted for only dipping our legs in. It’s funny though, because she was covered head to toe and not sweating a drop while we were in shorts and tee shirts soaked from head to toe. Maybe we should have gone for the full dip – it wouldn’t have mattered much anyway! After lunch, we started making our way back when we heard a helicopter overhead. Suddenly, the guides started moving faster, heading straight for the helicopter clearing in the secondary forest. Before we knew it we were nearly running, following the men chopping through vines and up and incline. The winds were swirling, blowing debris and stirring up the branches. As the helicopter came into land we made it to edge of their landing pad. 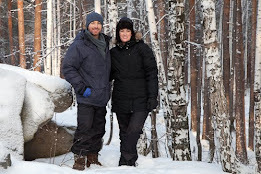 We stuck around to see if they’d come back but quickly realized that for as hot as the interior of the forest is, it is decidedly cooler than in the direct sun. So, we set off again back to our starting point. After a 6 hour adventure we reached our starting point at the river’s edge. We were hot, tired and glad to be back. Standing on the riverbank, looking across the shallow river to our lodge on the other side, we contemplated the boat ride back. We were already soaking wet and the river was only waist deep at most. 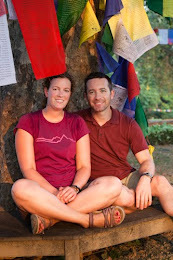 It was another moment where we just looked at each other and said let’s go – we threw the camera bag in the boat for safe passage and ran down the rock path and splashed down in the river. Taking a dip in the clean water was unbelievably enjoyable! Crossing the river was a piece of cake despite the mild current. You could pick your legs up and drift with the water. After turning what should have been 5 minutes to crossing in to a half hour of playing in the water, we finally exited on the other side truly refreshed from an amazing rainforest adventure! Sepak Takraw? Kick Volleyball? Footvolley? "Sepak" looks to mean kick and "Takraw" means woven ball, so I guess it works. It was late in the day near Sumbling Lama, Brunei, nestled in the mighty rainforests at an Iban village. 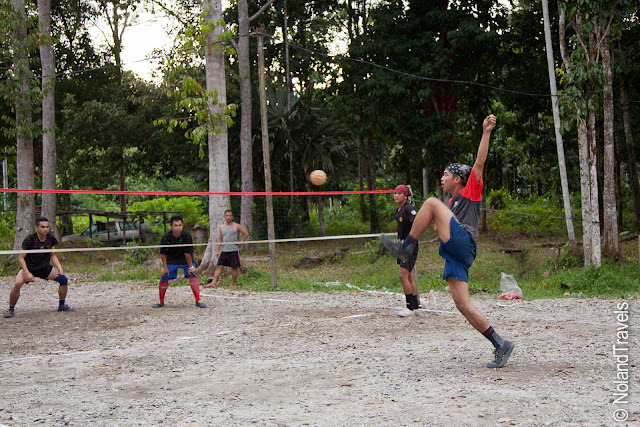 Here we found a group of young guys playing their nightly game of Sepak Takraw. We had a seat and watched. I'm not quite sure what to say about the game but it looks challenging, although fun to watch! The guys have some serious skill. The serving and spiking looked painful but they managed to get it over the net with flare. Anyway, here is a short video I put together to give you a better feel for the flow of the game. 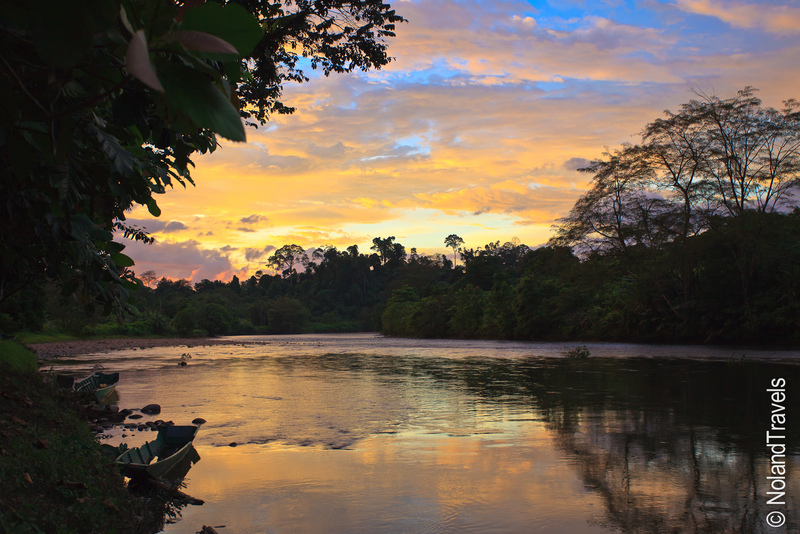 Brunei, although small in size, is packed with natural resources and beauty that make it a wealthy country, indeed. 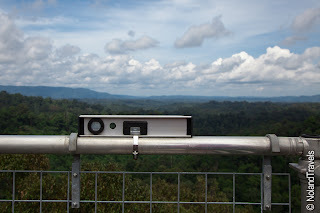 When considering the options of going to see the well-travelled rainforest of Malaysia in Sarawak or the neighboring very un-travelled forests of Brunei – it was no contest. Part of the challenge that peaked our interest was the fact that the forests seemed relatively difficult to get to on your own (hence the reason for fewer visitors). 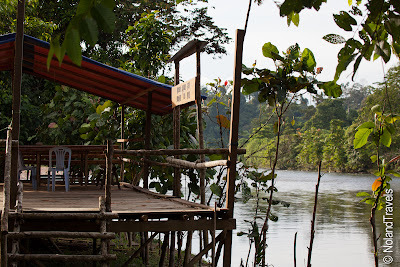 With tourism being in the infancy stages, the book talked of a 45 minute river ferry, hitching a ride and a pricey longboat ride up the river to the actual forest and having only one choice of (expensive) lodging within the national park. 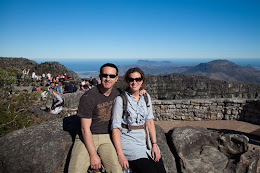 With all that complication you might ask why we opted for Brunei, but the catch was that you could easily arrange a tour and accommodation through a couple travel agents in Brunei. We found the right agent almost instantly, actually inside the same building as our hotel (Bandar is a small town…). Given the strong currency and general high costs in the country, the tours were a little out of budget. Luckily we were talking to the owner and because we were willing to alter our schedule and share a river ferry with two other visitors, we managed a nice discount on an amazing rainforest adventure. We left with a simple instructions: be at the dock at 7am tomorrow morning. 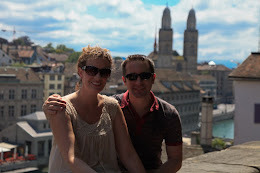 Despite the vague instructions, we found the dock easy enough and the guide found us (yeah, we stick out a bit)! The ferry was a small speedboat, fully covered, that carried at most a dozen people. It set off through the backwaters, passing Bandar’s water village. Think of a housing sub-division with simple wooden houses built on stilts over water, all connected by bridges and walkways. Further on, the villages stopped and the waterways narrowed into spectacular passageways through gorgeous mangroves. It was early and we had come prepared, with premixed instant coffee in our canisters. What a way to start the morning - cruising through the backwaters having coffee and breakfast cakes. We even spotted a few monkeys playing on the shore. Upon arrival at the small town, a petite young lady met us as we disembarked – Adilah, our guide for the remainder of our visit. 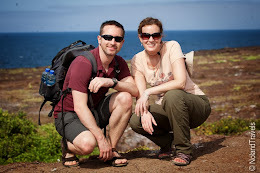 She worked for the company we booked with who specialized in eco friendly travel ventures. They build the infrastructure then employ the local villagers to run the operation and most importantly, to be the knowledgeable friendly guides. Adi fit the description perfectly. Growing up and still living in the village near the eco lodge, she was only 17 but very keen to study tourism in school and show her side of life in Brunei. It was mainly her family who ran the camp. Her mom the cook, her uncle the rainforest guide, ect. She adored her job which is surprisingly rare but a real treat. A short drive from the dock and then a five minute walk along a path and we arrived at our camp. But I'll tell you more about our eco lodge later as today’s activity was a good one! A canopy walk above the rainforest in the nearby Ulu Temburong National Park. After a quick breakfast, we climbed into a narrow longboat for what they promised as an exciting ride up river. It didn’t disappoint! A small engine on the back and the narrow little boat really whipped through the water and some of the rapids we encountered. 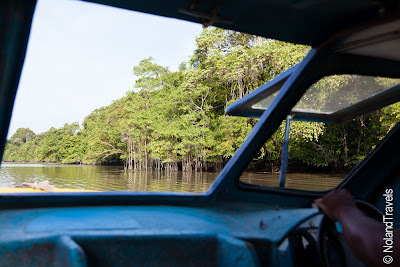 They warned us that we might have to get out and carry the boat if the waters were too low, but fortunately, it had rained the day before and with the driver’s careful maneuvering, we made it all the way to the national park entrance. Cruising on the river it was hard not to notice how pristine everything looked. The water clean without all of the usual trash and environmental damage that come along with much of Southeast Asia. There are places in the world where I'd hate to fall in, immediately the Ganges in India comes to mind, but here I was actually thinking about falling in on purpose to cool off in the crystal clear water. We were dropped at a relatively unmarked edge of the forest but up a few stairs and there was a well-trodden path to the top of the hill for the rainforest canopy walk. Once you were inside the thick rainforest cover, it was immediately hot and sweaty. No breeze whatsoever. The path was a stairway made of mud and tree roots at first but then changed over to proper wooden stairs in the steep parts. 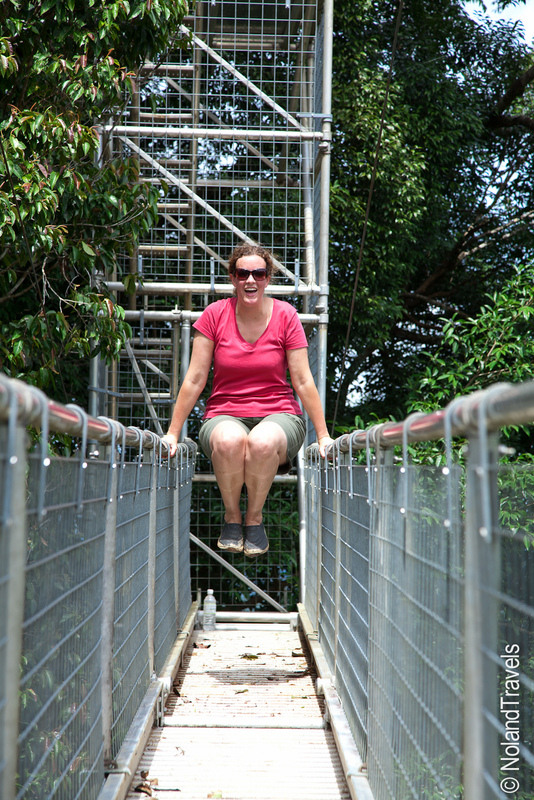 After the slow climb to the top, there was a clearing only large enough for the base of the aluminum and steel pole canopy walk structure….which of course had many more stairs to climb to get to the top! Rising up some 21 floors tall, the walkway runs for 150 feet amongst the canopy of the rainforest. It was impressive from the ground and looked like it was standing firm even with the wind rustling in the tree tops. Despite this, Josh looked up at the structure hesitantly. He’s not a fan of heights. I was glad he needed to consider the climb because I needed to catch my breath before the 600 or so more stairs to get to the top. Before Adi would let us climb, there were a few rules. For safety sake there could only be one person at a time on each flight of stairs and only two people at a time on each walkway or platform. Ok, Ok, we got it, can we go? 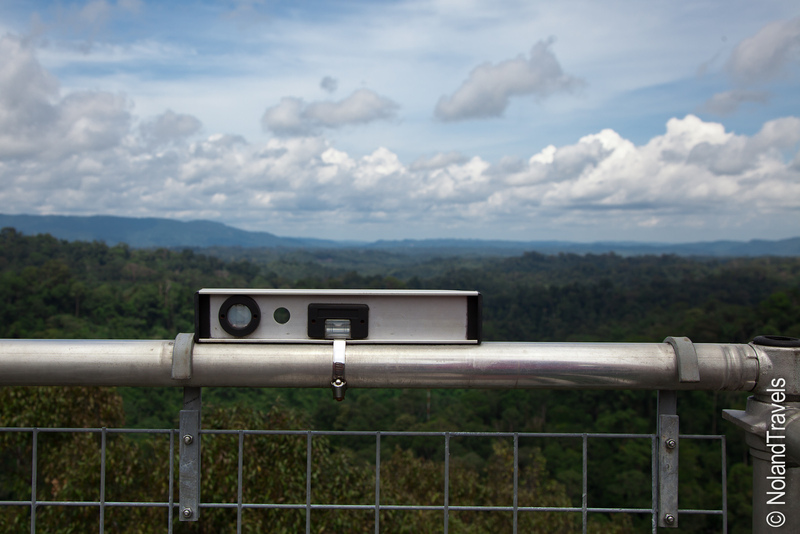 The view from the top was well worth the climb – a picturesque view across the top of a pristine rainforest. All the way up and at the top especially, Josh held the railing tightly as we admired the view. 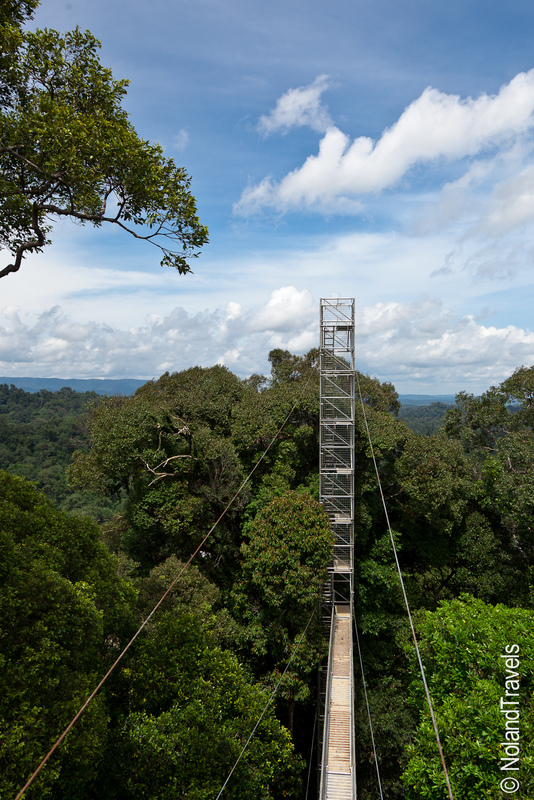 The canopy walkway was a series of towers and aluminum walkways between them. 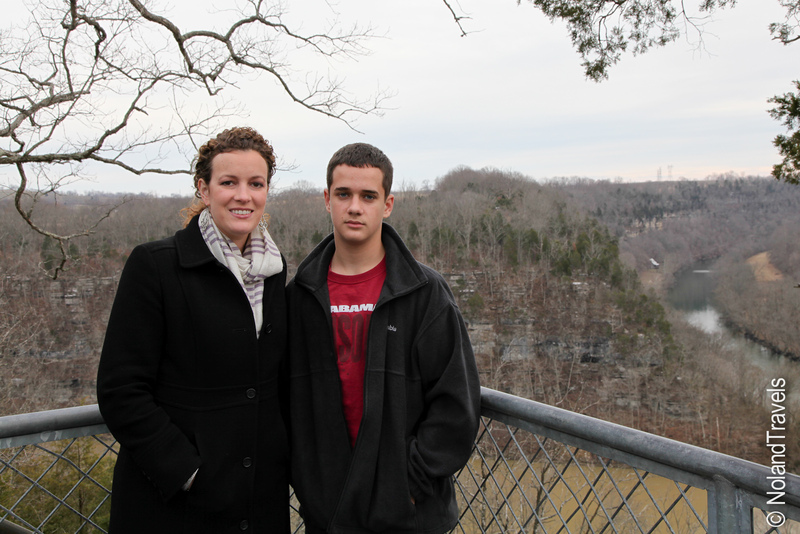 Being less nervous of the height, I had fun swinging on the walkway railings laughing as Josh just shook his head at me. Amazingly, the walkway was perfectly level. On a few of the towers were strategically placed builders' levels that showed it was standing straight up. That was good to see for Josh's peace of mind as the aluminum pinged and popped against the breeze. After the excitement of the walkway, the day was not over just yet. On the boat ride back, we made a pit stop at the local foot spa! You know those little fish that are becoming a global phenomenon for nibbling the dead skin off your feet? Well, they are here in the wild and happen to reside at a beautiful small waterfall. The long sweaty walk to the canopy made us long for a cool swim, so we stripped down to our swimsuits and gingerly put our feet in the shallows. The fish were on us in an instant! Funny little nibbles. Adi just sat down in the water and I followed after. It’s one thing to have your feet nibbled but it was hysterically giggle worthy to have your entire legs, arms and hands nibbled all over! We enjoyed the refreshing waterfall and built-in foot spa before reluctantly making our way back to the lodge where lunch and a day of rest in a hammock awaited.